Scholarship Application Services LLC (“we”) respect the privacy of its customers and visitors (“you”) and are committed to maintaining the privacy and confidentiality of your information including your personal data (collectively, “information”). Your “personal data” means data or personally identifiable information that allows someone to identify or contact you, including, for example, your name, e-mail address, telephone number, as well as any other non-public information about you that is associated with or linked to any of the foregoing data. 1.1 Information that You Provide Us. We collect any information you enter on our website or through your use of the Services or that you otherwise provide us (via chat, telephone calls, emails, submissions to our contests, online forms, etc.). This information may include identifying information such as your name, address, phone number, email address and information on services ordered. We may also collect other information from you, and we may also take your photograph or a video of you. 1.2 Information that is Collected Automatically. We collect certain types of information when you interact with us. This information may include but is not limited to IP address, location, email address, hardware settings, the browser you used to visit our site, system crashes, time and duration of your connection, run time information about the state of your virtual machine for example: uptime, CPU, network and disk utilization (R/W), etc. 1.4 Information We May Obtain from Third Party Partners and Social Media. We may receive information, including personal data, about you from third parties or social media. We may add information provided to us about you from our Third Party Partners or social media to information that we have already collected from you. 1.5 Opting-Out. 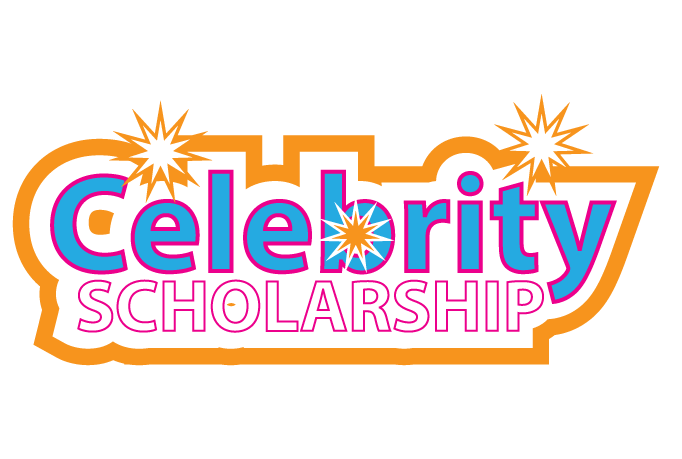 You can decide at any time to not provide us with any further information about yourself by sending an email to contact@celebrity-scholarship.com, putting “Close Account” in the subject line, and closing your account with us and ceasing to visit our website. 2.2 Unsubscribing. You may choose at any time to unsubscribe from receiving our post and email notifications and our newsletters by sending us an email to unsubscribe@Celebrity Scholarships.com, and from our notifications by land line, mobile phone, cellular phone or text message (including internet-to-phone text message), by revoking your consent through any reasonable means at any time. We may be compensated for information, including personal data, that is disclosed to Third Party Partners or other third parties. We implement commercially reasonable industry-standard security measures designed to prevent the loss, misuse, unauthorized access, disclosure, alteration or destruction of your information, including encryption, firewalls, and access controls. We work to protect the security of your information during transmission by using Secure Sockets Layer (SSL) software. If you are a minor, you may request that we remove any content you have posted from our website, products services by writing us at contact@celebrity-scholarship.com. Please note that any removal process does not ensure complete or comprehensive removal of the content or information, and, unless removal is otherwise required by applicable law, content or information related to your acceptance of a scholarship will not be subject to removal.